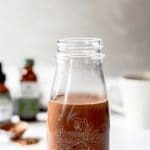 You requested this flavor, and I am delivering with this Dairy Free, Sugar Free Mint Mocha Coffee Creamer. Chocolate mint is a hot flavor – especially when it’s Girl Scout cookie season, and everyone is drooling over thin mint cookies. 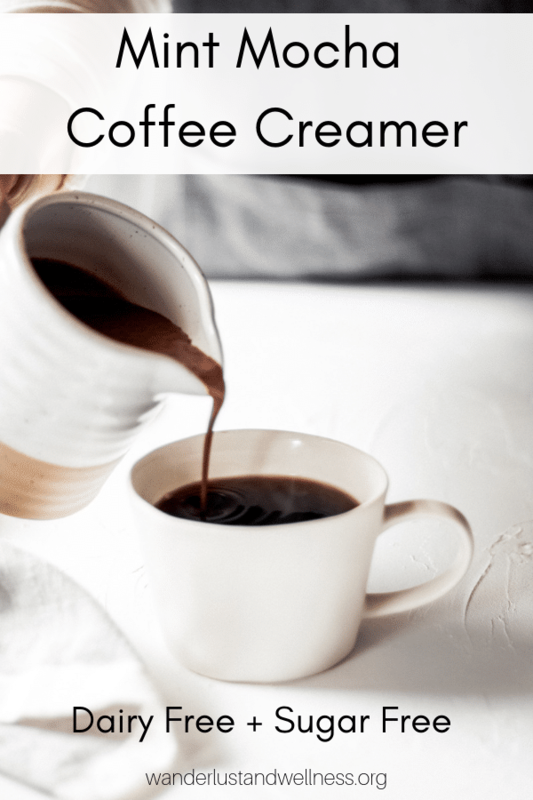 Creating your own dairy free coffee creamer recipes at home is a cinch – I can promise you that! With just four simple ingredients you’ll have your own mint mocha coffee creamer to enjoy. If you were to open my refrigerator, you’d see bottles of homemade dairy free coffee creamers, with a wide variety of flavors, which make me one happy dairy-free, coffee drinking camper! Sure – I could go out and purchase coconut milk coffee creamers, but have you tried them?? They are a step up from water. #sorrynotsorry And, because of my nut allergy, I’m unable to enjoy nut-based creamers. So, making my own is the perfect answer. 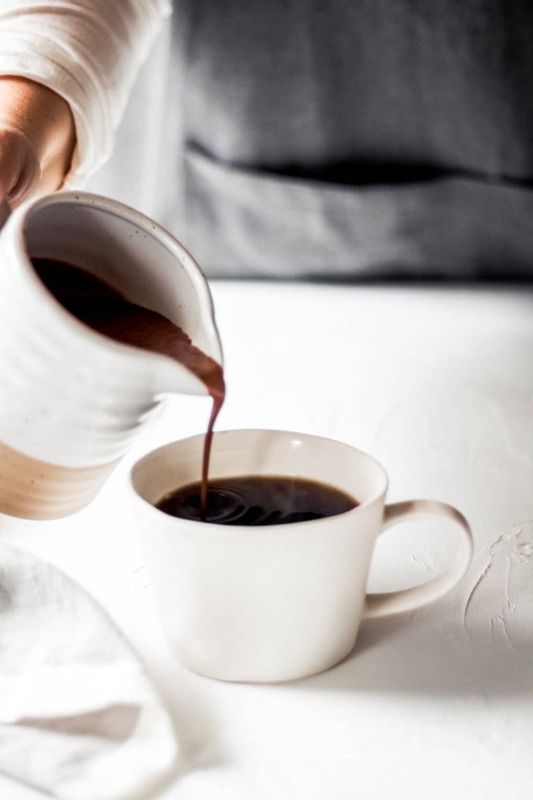 If you’re reading this then you too want to make your own homemade dairy free coffee creamer. With just four simple ingredients you’ll have a rich, velvety mint mocha coffee creamer – are you ready to get started? 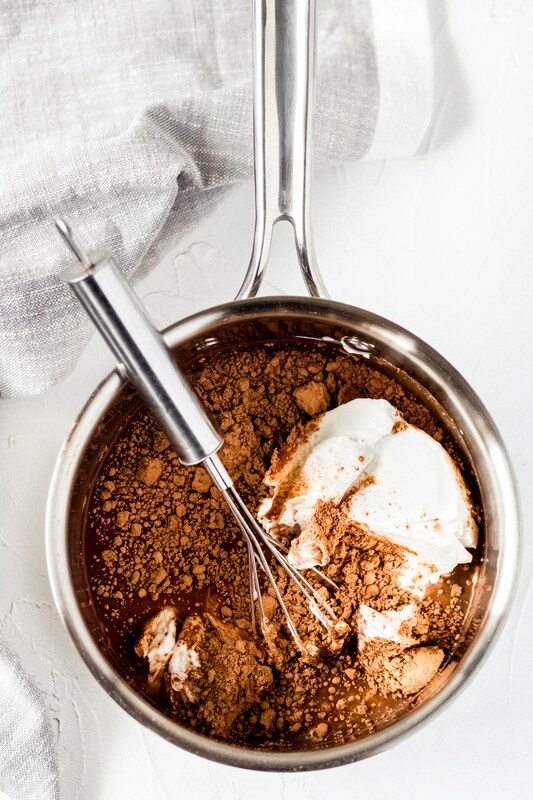 In a small saucepan, add one can full-fat coconut milk and three tablespoons cacao powder. Add in 1/2 teaspoon peppermint extract. If needed, you can add additional peppermint extract until you reach the desired level of mint flavor – however, extract is very strong so I would only add a tiny bit at a time. Add 5-7 drops of Stevia. 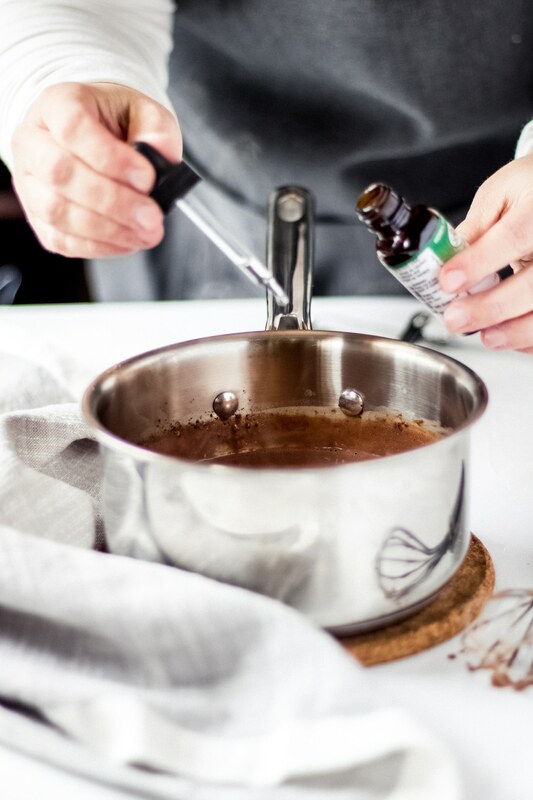 Again, start with 5 drops and then add additional drops until you get the desired level of sweetness. Whisk to combine the ingredients in the saucepan. Bring to a simmer over medium heat, then reduce to low and cook for 20 minutes, stirring occasionally. Transfer to a glass jar, let cool, then seal with an air-tight lid and store in the refrigerator for up three weeks. How many carbs are in sugar free coffee creamer? Every recipe will vary, and please read the Nutritional Disclaimer for this recipe in particular – however, I estimate the carb count for this recipe at 2 grams per serving. If stored correctly – refrigerated in an air-tight jar – it should last up to three weeks. Will unsweetened cocoa work in place of cacao powder? Yes, you can swap out unsweetened cocao powder in place of cacao powder. Enjoy these gluten-free breakfast recipes with your coffee! 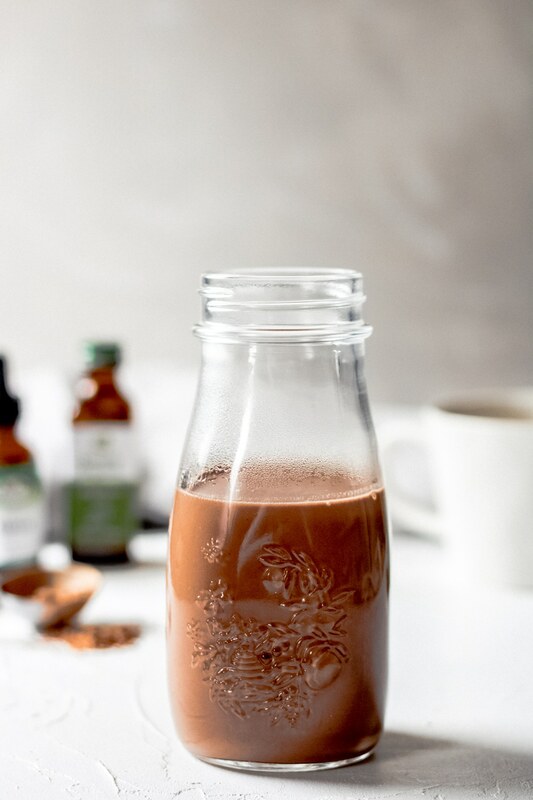 A homemade dairy free, sugar free mint mocha coffee creamer – easy to make and only four ingredients. In a small saucepan, add the coconut milk and cacao powder. Add in the 1/2 tsp. Peppermint extract – if needed, add in additional peppermint extract a very small amount at a time until the desired mint flavor is reached. 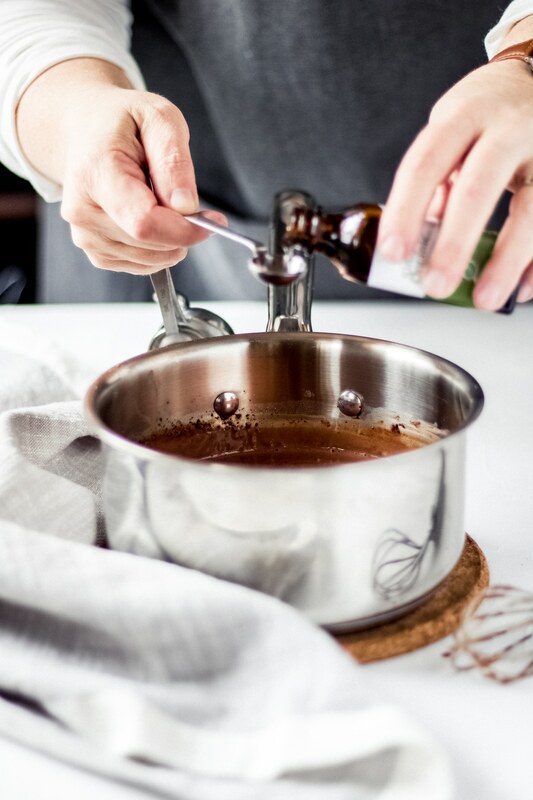 Add in 5 drops of stevia – again, add in additional drops one at a time until desired sweetness is reached. Whisk to combine, then bring to a simmer over medium heat. Reduce heat to low and cook for 20 minutes – stirring occasionally. Transfer to a glass jar and let cool. Once cooled, seal with an air-tight lid and refrigerate. Use unsweetened cocoa powder in place of cacao powder, if needed.